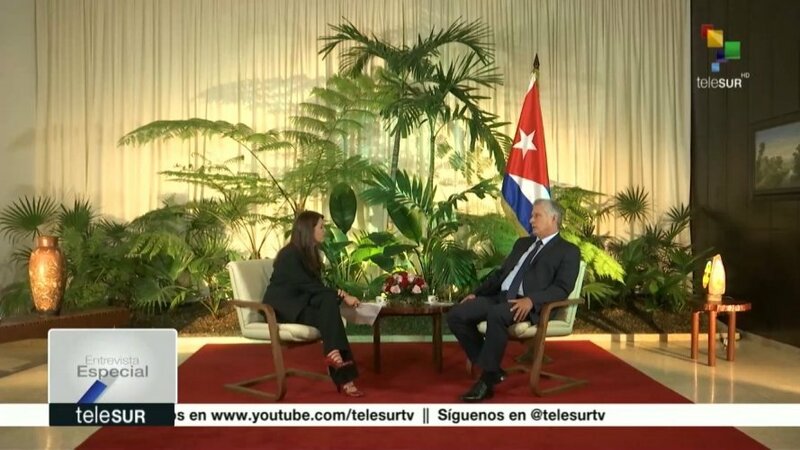 Cubanet, Miriam Celaya, Havana, 20 September 2018 — If something stands out in the interview recently granted to the transnational Telesur by the (not elected) president of Cuba, Miguel Díaz-Canel, it is the way in which the poverty of his vocabulary is revealed, the inconsistency of his arguments , the triteness of a discourse as preposterous as the interviewee himself and especially the theoretical fragility of the supposed heir of the Marxist-Leninist-Martiano-Fidelista torch endorsed as the jewel in the crown in the “constitutionalist” project that is currently – ignominiously — circulating throughout the Island. In fact, the president’s babble overflows with so much mediocrity that trying to dismantle it would be an exercise almost as vain and simplistic as his own arguments. It’s quite enough, as a matter of example, to highlight the worn-out defense of the single party in Cuba under the ridiculous assumption that José Martí – for greater absurdity, an obstinate liberal and antisocialist – founded a single party. Obviously, only if Martí had been bipolar or schizophrenic would he have founded more than one party. But of course, the President did not stop to consider such an insignificant detail. At the end of the day, the masters will say to themselves: the Cuban people have never questioned the political decisions of the Castro regime and its emissaries, why should they do it now? Perhaps even more embarrassing was the gibberish he introduced to justify the elimination of the term “communism” as the goal of society in the new constitution. “If one goes to classical Marxism, the mode of production to which we aspire is communism. (…) Communism and socialism are closely related. If you want to build socialism, it is because you want to reach communism, “the President said, undaunted. Perhaps he was convinced that such an inference should settle the matter. So much dialectical genius can only be the result of a very personal and outdated interpretation of the classics of Marxism (God save us from all of them, especially their interpreters!). In addition, the entire interview overflows with common places such as the “U.S. government Blockade” (“a brutal practice which seeks to condemn our people to die of necessities” and “constitutes the main obstacle to our development”), Imperialist “violence” against Venezuela and its “laborer president”, the defense of the entelechy called “Latin American integration”, and other similar invocations. Those who expected that in this, his first official interview – given not to a national media but to a foreign one, a disdain to the guild of native scribes – would offer the public some glimpse of a government program, a strategy to promote the battered economy or some kind of master plan to (at least) stop and reduce, in a reasonable timeframe, the pressing and multiple problems of the daily existence suffered by the Cuban population; In short, those who aspired to listen to a president’s proposals were left wanting. There were no surprises. It is clear that Diaz-Canel was not going to depart from the old script dictated by his tutor and patron from the concealing shadows of the General’s supposed “retirement,” even less so in such uncertain times for both rulers and “governed” and for the region’s allies. In it are included the responsibility, the ever-conditioned benefits and perhaps something else. Let’s not forget the sinister Article 3 of the new constitutional script that states that “Treason against the nation is a most serious crime, and he who commits it is subject to the most severe sanctions” (instead of nation, read “the Power”). And it is known that the closer you are to the cupola of an autocratic power, the more serious the “betrayal” considerations become, and punishment results in a greater warning lesson. By the way, causes number 1 and 2 of 1989 are worth citing. They took place amid the “dismantling” of the USSR and the “socialist camp,” which ended with the execution of several conspicuous servants of the regime and with long prison terms – not exempt of fatal health “accidents” – for others. They are the most convincing demonstration of this statement. However, and following the basic principle of reading between the lines, he points out that, this time, the president’s words did not show the overflowing triumphalism that usually saturates official discourses. In general, there was emphasis on tone but the message lacked conviction. 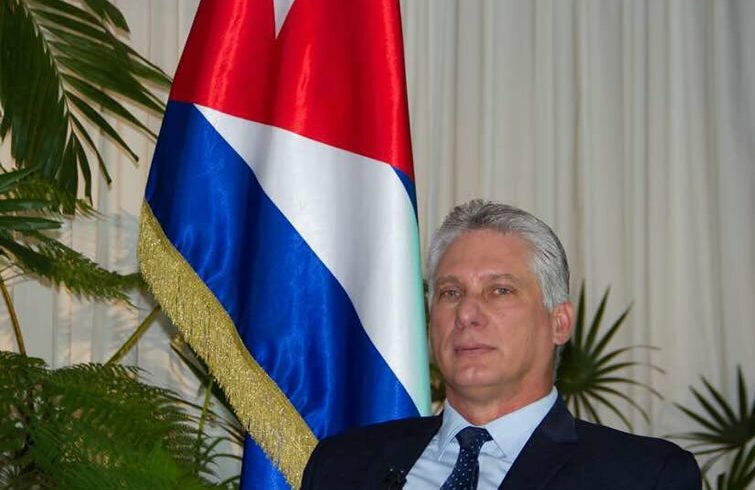 Diaz-Canel hesitates even when he claims to affirm. A clear example of this is when it refers to Cuban youth as “active and anti-annexationist” – an attention-grabber use of this second term, which is not part of the common lexicon of Cubans and rather seems to reflect an unspeakable concern for them. The Power Caste that a reality – and later expresses: “This generation is cultured and educated (…), I do not believe that its main desire is to be against the Party and the Revolution”. A detail that apparently does not say much, but constitutes a flagrant slip that would not have been committed with impunity in the days of Castro I … Or perhaps it was an involuntary (and untimely) betrayal of the subconscious. Because if the President, in his privileged position, is allowed to have the widest and most accurate information about the social temperature of this Island, does not seem very convinced of the revolutionary militancy of the young people and (what seems more serious) considers that the wishes of the current young generations “are concentrated on development, more progress, wishing to be included, aspiring to have more participation and striving for technological development and also social communication” instead of the holy defense of the Socialist Motherland, which was the mission commissioned to the generations that preceded them. What sense would the authentication in the Law of laws make of an ideology and a sociopolitical system with aspirations of eternity not considered a priority by the current youth, who are heirs by fate and not by choice of a failed legacy? Without a doubt, the President is confused, and that should not have gone unnoticed by the zealous political commissaries. Pretending to have “media appeal” can be tempting, especially when one does not have enough prestige or an adequate political pedigree, but it also entails many risks. Especially when you are an interpreter of someone else’s libretto, which reduces the probability of interpretation and authenticity to the character. It may be that at this point the designated successor has received the corresponding phone call from his tutor, whom he considers “a father,” who will have warned him that in successive public presentations he should concentrate only on what the manual dictates and be more revolutionarily convinced of what he says, in order not to hand the enemy excuses to distort things or imagine weaknesses. In spite of everything, in the coming days the official media will disclose, ad nauseam, the original or edited version of the aforementioned interview. For this, they can count on, to start, the political apathy of a population that, as we know, does not usually consume this type of product. Not coincidentally, in the television programming this Tuesday, September 18th, the telenovela schedule was shown earlier so then aforementioned interview would be aired… With all certainty, that will be the moment in which, in spontaneous unanimity, the great majority of Cubans, according to their possibilities, will tune in to other channels, they will go into “package mode*” or will dive into “subversive” antenna shows. *El Paquete Semanal (“The Weekly Packet”) is a one terabyte collection of digital material distributed since around 2008 on the underground market in Cuba as a substitute for broadband Internet. In 2015 it was the primary source of entertainment for millions of Cubans. Next Next post: Three Opposition Organizations Describe the Referendum on Constitutional Reform as "Enormous Fraud"